Chelsea McArthur joins us this summer, and jumped right in for training up at two centres, and getting to know all the kids. And it's a good sign when they all know her! Chelsea returned to Vancouver, and Canada, just this year, after living in Arizona, where she completed her Bachelor of Arts in Digital Filmmaking and Video Production in 2013. She held positions in video distribution, and enjoys working on films for friends (and maybe Buddings...? hopefully! ), but found herself fulfilled when she works with children. 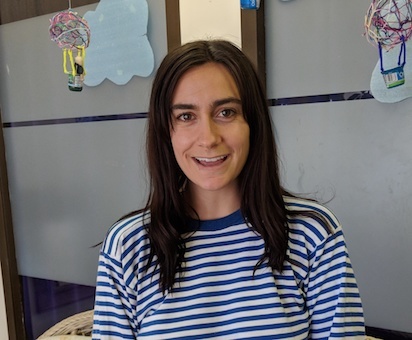 With four years of experience in a Montessori in the Desert, volunteer hours in a child crisis centre for toddlers, and best of all, her consistent stepping-up, Chelsea is a friendly face, and helping hand, that makes everyone's day more smooth. Catch her at the party this weekend, or anytime at chelsea@buddings.ca.